The word "works" is used to refer to various products or services. By adding .works domain to your website, you can instill the impression in your customers that your product or service is all that they need. 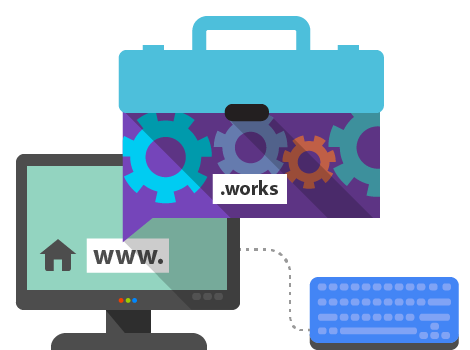 On the other hand, the word "works" is sometimes associated with factories and production and you may use the .works domain to tell your customers that they can purchase from you the necessary resources to produce what they want.